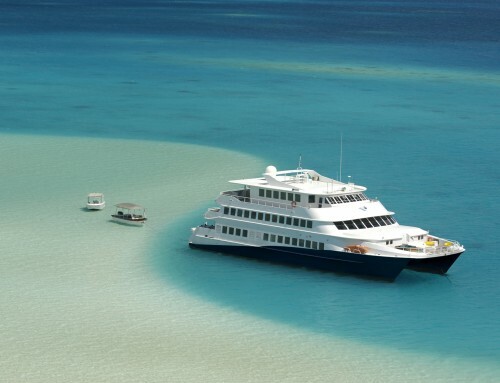 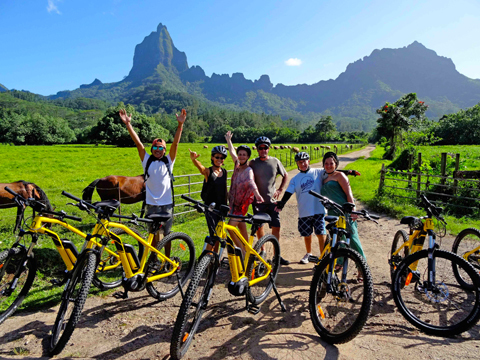 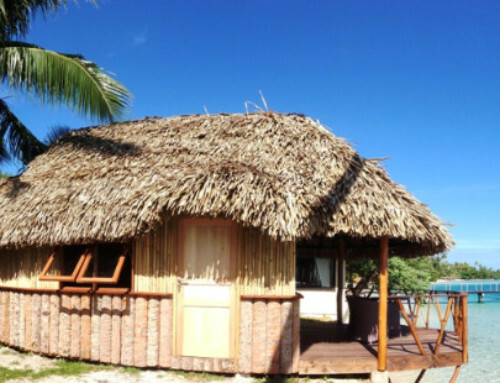 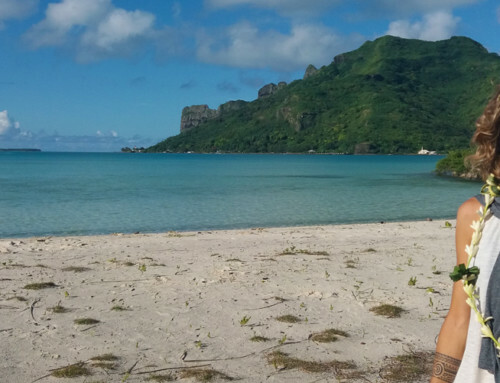 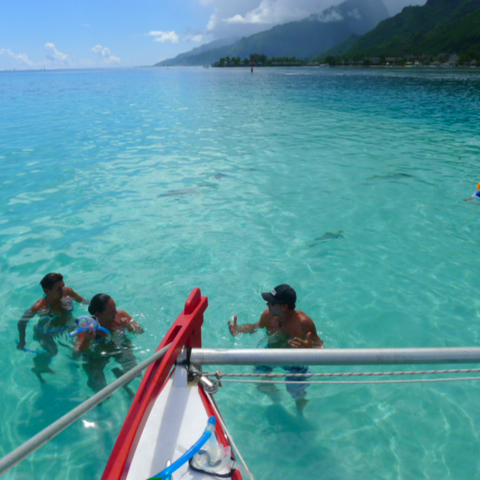 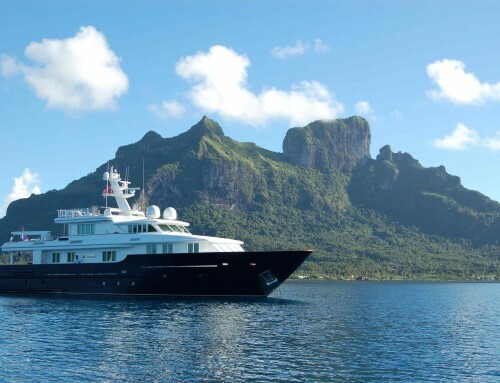 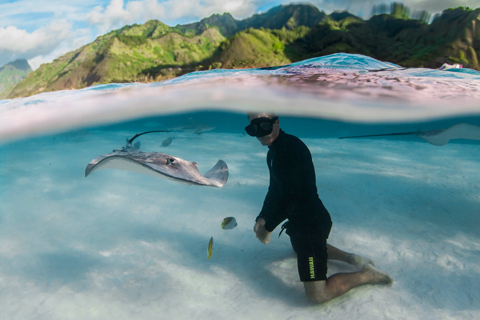 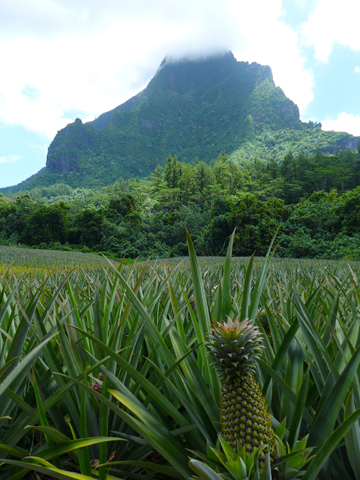 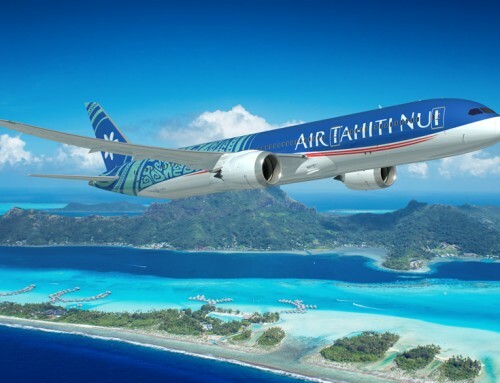 Tahiti Nui Travel has selected three excursions to discover on Moorea and make the difference with your clients. 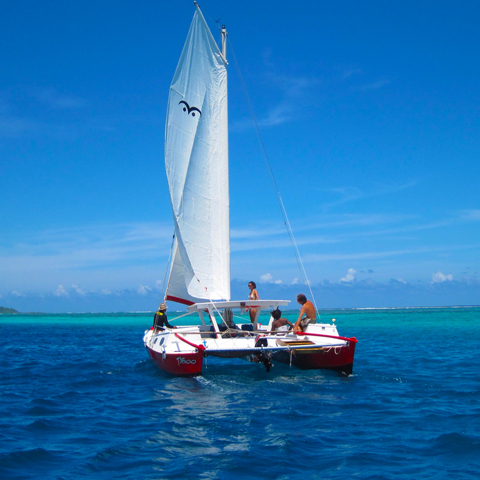 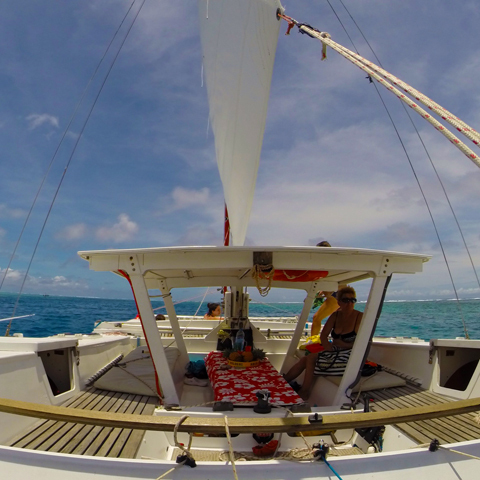 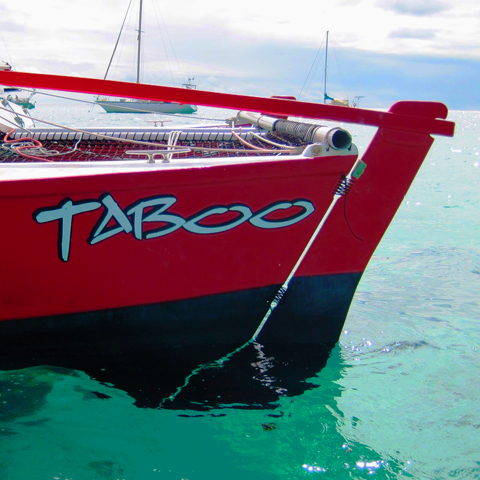 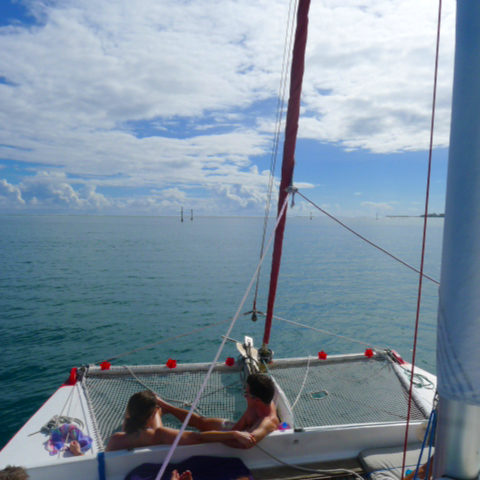 Lagoon side, set off for a half-day Sailing Cruise on the Taboo, a red Polynesian-style Wharram catamaran that already offers sunset cruises. 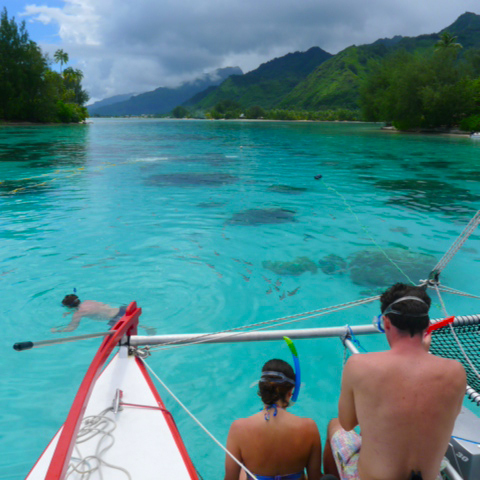 On the program: two snorkeling stops and an encounter with rays and sharks, with just 6 persons on board. 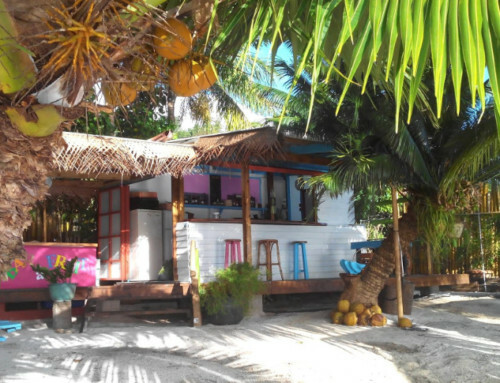 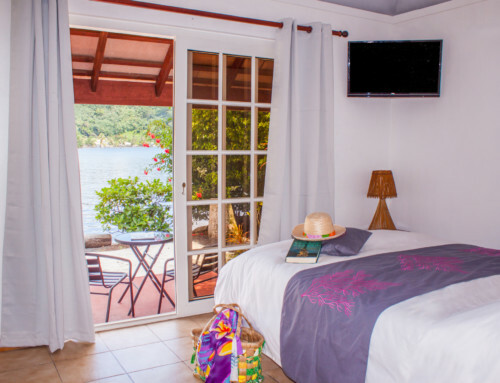 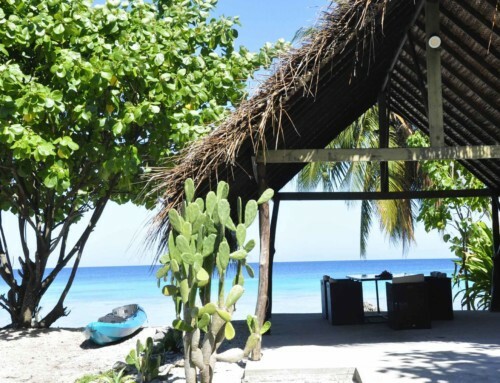 Guaranteed welcoming and relaxing atmosphere! 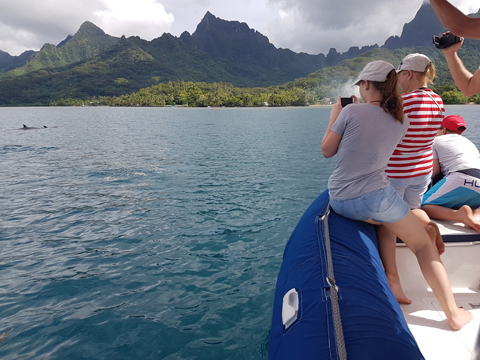 Another way to explore this thriving habitat under the sea is to set off with Pierrick aboard his semi-rigid boat for a half day Private Polynesian Wildlife Expedition. 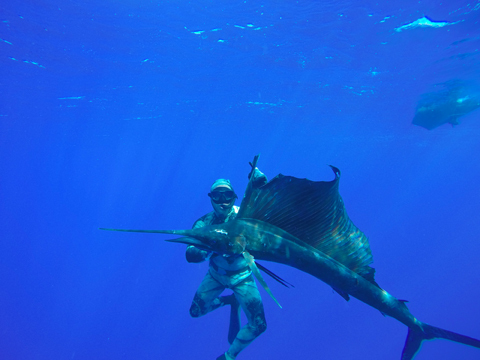 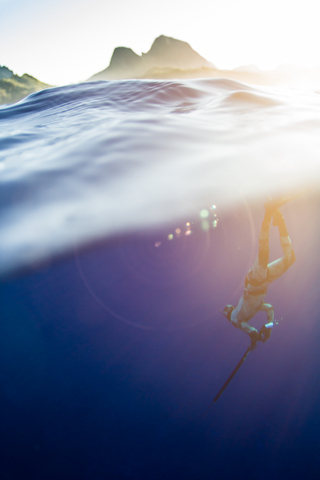 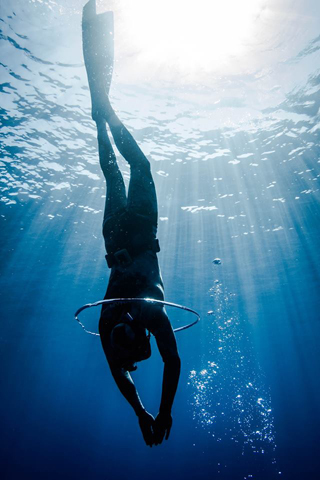 Your experimented guide will also amaze you with a demonstration of free diving and spear-gun fishing at a depth of 25m. 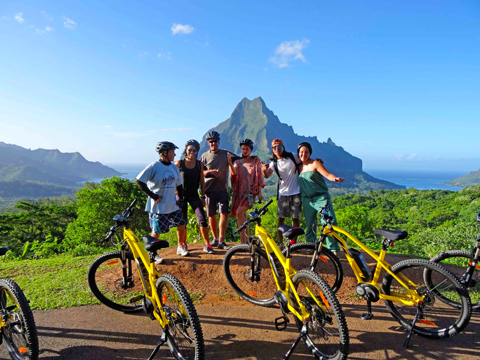 Mountain side, back on dry land, jump on your bike for a ride to the Belvédère viewpoint. 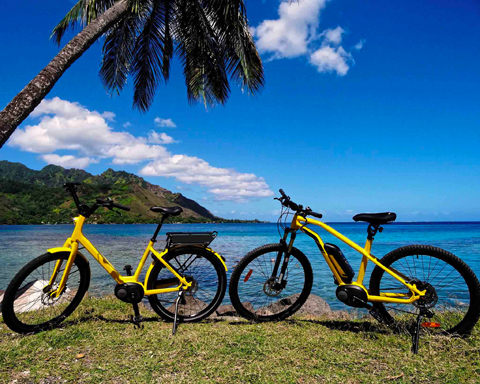 This is no ordinary bike, but an electrically assisted one – the hot trend of the moment! 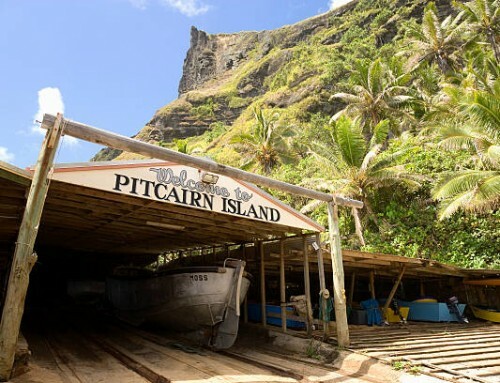 Fun, easy, eco-friendly, fast and accessible to ages 8 and up, admire the unique view of Cook and Opunohu bays, stop at sacred sites, cross the pineapple plantations and sample the delicious jams at the Opunohu Agricultural School. 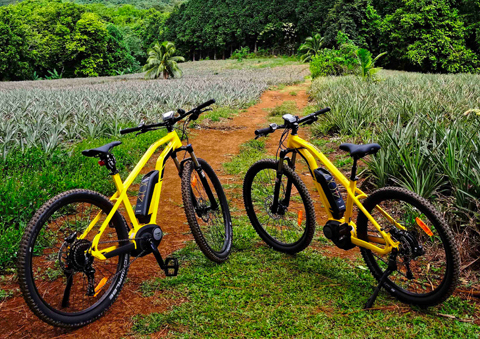 Enjoy a wonderful freewheeling outing with family and friends on the Belvédère Guided E-Bike Tour.